More storytelling than a mau5 normally gives. During a rather lengthy live stream, deadmau5 created the melody for "The Veldt" and named it after the short story by Ray Bradbury of the same name. He later heard vocalist Chris James via Twitter, who had prepared his own vocal take on the track, and was quite impressed. Thus, a collaboration was born! The lyrics are based on the story of "The Veldt", where a family lives in "The Happylife Home", where all the chores are taken care of via machines. The children are particularly affected by this unusual surrounding as they spend much of their time in the nursery, where they can visit any location they wish via virtual reality simulation. Unfortunately, they become a bit too attached to this holographic world -- mostly one of Africa, ridden with death at the hands (paws) of a lion -- and it serves to replace the parents as the primary caregiver. A visit from the psychologist suggests turning off the house and moving away, but their overdependence on the virtual savannah lifestyle only leads to more trouble. I won't give away the ending, but needless to say, the ending is an unfortunate example of addiction at its most severe. Although the story is a bit depressing, the music is less so. 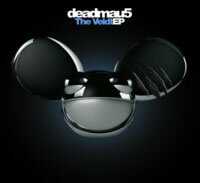 Starting out with deadmau5's direct opus, the eleven-and-a-half minute The Veldt (Original Mix), we get a notably tribal introduction, complete with African drums, chants, and sounds of the savannah, obviously a tribute to the setting the children had invented for themselves in the virtual nursery. As the sun sets on the horizon, the real melody slowly fades in as a mix of symphonic pads and synthesizers. It's a very warm melody, somewhat melancholy yet simultaneously uplifting. Chris James' vocals eventually venture onto the scene, and while not the greatest by any means, they fit surprisingly well given the content and the accompanying music. There is eventually a relaxing pause, but we soon return to the pumping beats, the breathy vocals, the summery euphony. Eleven-and-a-half minutes have passed, and yet it has certainly been a pleasant journey. For some reason, Failbait has also crept its way onto this extended play. I wouldn't mind, but deadmau5 doesn't really meld well with the likes of rap group Cypress Hill. Maybe this is why Failbait sounds so much different than most of deadmau5's library. This is a wiggly blend of dubstep, deep bass, and of course, funky rap beats. While the music itself isn't too bad, I'm not sure if it's designed for the same demographic as The Veldt. (Both songs ended up on his 2012 album, "> album title goes here <".) Anyone who has ever heard of Cypress Hill probably knows that they can't have a song without plenty of references to smoking pot and possibly their own egos compared to other groups. So guess what's in Failbait? We also get two strange remixes of The Veldt. First up is the Freeform Five Remix, and it's a much slower affair, featuring some overbearing synths to deliver a more plain version of the song and plenty of oft-distracting background noise. They pretty much only used the chorus for vocals, and they slowed them down significantly to match their relaxing electronica take. Still, it's not half bad, and it's quite short, capping off at a little over three minutes. The Tommy Trash Remix is far more in-your-face with its electro house vibes. If there's anything notable about this, it's that some of the more gritty bass I've heard lately is quite prominent. Tommy Trash obviously just wanted to drive this track up your backside with an electroboot of pulverant funk. Mission accomplished. The Veldt EP is an interesting blend of the good and the weird. Deadmau5's original shows he's still coasting on his prime, while the remixes compliment it well with a couple of party-worthy bangers. As for Failbait, I'd like to pretend it was on its own EP, but because I can't do that, I now have to say that the package isn't all smiles for miles. Still, I can easily recommend this to any dance music fans out there. There's something for everyone. Even rap fans.